and stained pallet wood frame. with all of the fall fixin's. with a black shaded edge. craftsmart buttercream with antique gold. 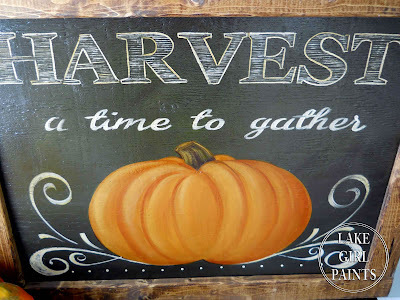 The "Harvest" font is FFF Tusj size 325 bold. The smaller font is Coneria Script Demo at 115. The sign is 26" x 32"
I so LOVE this sign! I wish I could paint symmetrically so I could paint a pumpkin like that. Thanks for the instructions...I may try my hand at it someday. Fabulous job! 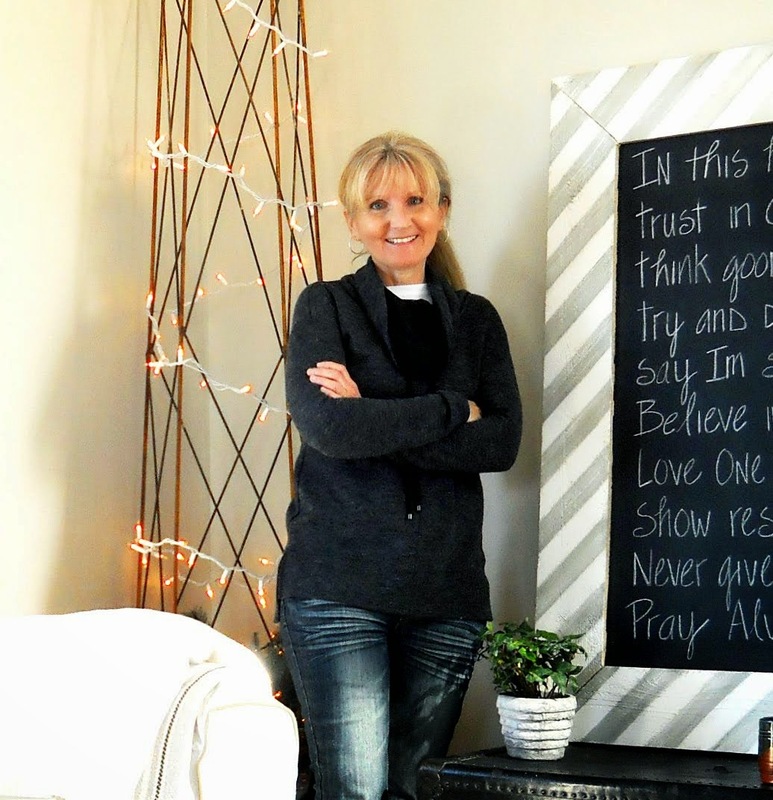 Love the frame, the chalkboard and your drawing is awesome! As usual, another beautiful painting! I always love your work! Have a great weekend. 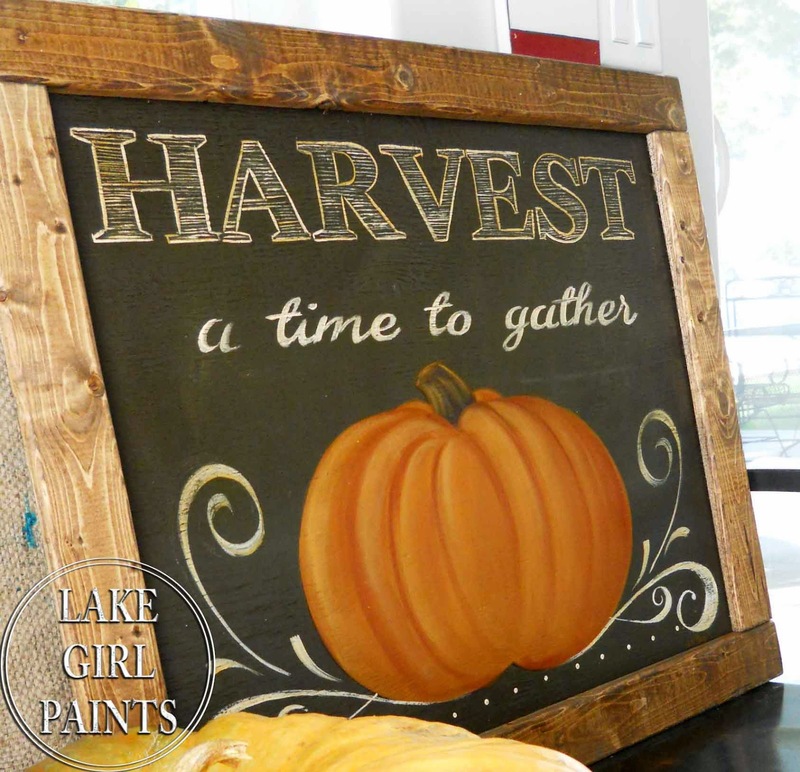 What a perfect painting for fall!, beautiful job again! Beautiful! Just gorgeous! You are amazingly talented! I love this! Nice job! Wow! So pretty! I'm so impressed that you can paint with such a steady hand. I wish I had that skill. How beautiful! It's just perfect! I just love your work! This looks great. I wish i could paint like this! 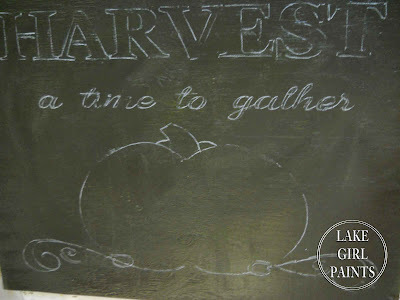 I found you over at the Wow Us Wednesday Linky Party. I love your Harvest Pumpkin Sign - so pretty! I featured your pumpkin art today at Inspired Sunday. I have a button you can post on your blog. I am a new follower and would love for you to follow me! What a great use of a pallet frame. Love the fonts. oh my gosh, I'm in LOVE this is so wonderful!! !